00:08 <__monty__> Not *that* weak. "Oh, so you're a totalitarian gov that wants to snoop on dns? Just block port 865 (or whatever the DoT port is)." 00:09 <__monty__> Vs, "Oh ... snoop on dns? Just block port 443 and break the internet for everyone." 00:12 <__monty__> Sure but you can't seperate "normal" HTTPS traffic from DoH traffic is the point. 00:13 <__monty__> Yep, but the layer violation tho. 00:14 <__monty__> It's like throwing away TCP for QUIC. TCP *is* the internet almost. 00:16 <__monty__> Yeah but more anything doesn't imply more better. 00:17 <__monty__> nn, thanks for the discussion! 00:21 <gchristensen> but definitely not something to use LIGHTLY. 01:25 <infinisil> joepie91: Is this supposed to take like 5 seconds to load? 01:26 <joepie91> it's proxied to my local PC but their proxy is excruciatingly slow and I'm not minifying any JS and it all comes with sourcemaps etc. 01:26 <samueldr> yeah, was going to say "at a glance it looks slim, must be hard to squeeze it through joepie91's connection"
01:28 <samueldr> better upload than download? 01:28 <samueldr> is it because you're living under sea level? 01:33 <joepie91> it gets quite close to "internet as it should be"
01:35 <joepie91> whoa. what? 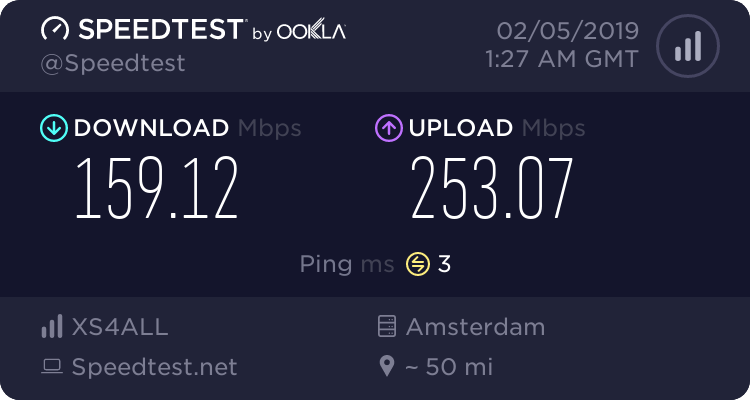 OVH has an australian location now? 01:37 <infinisil> devs are people too after all! I think..
02:50 <iqubic> I find Regexes in general to be a pain. 17:35 <infinisil> "Which of the following programming, scripting, and markup languages have you done extensive development work in over the past year, and which do you want to work in over the next year?" 17:35 <infinisil> Neither Haskell nor Nix are in the list, and there's only a single "Other: ..." field..
17:37 <infinisil> I guess I could put "Haskell, Nix" in the field..
17:39 <infinisil> Goddamnit! "Blockchain / cryptocurrency technology is primarily:"
17:40 <infinisil> blablabla, "A passing fad", "An irresponsible use of resources"
21:16 <__monty__> gchristensen: Wow, that's terrible. It breaks I18N. Just terrible. 21:18 <__monty__> But I^3 is III surely, not IIII? 21:20 <infinisil> Wait, https://isdebianreproducibleyet.com/ says it's 92.5% reproducible, does this mean we surpassed debian without even trying? 21:20 <__monty__> Who'd've thunk perl and python'd be such offenders? 21:20 <srhb> infinisil: Far smaller package set, no? 21:21 <srhb> I think there's a chance we're "pretty well off" by sheer accident of our infrastructure. 21:21 <srhb> But probably nowhere near Debian. 21:22 <gchristensen> maybe I'll just put at the top "(it means reproducibility)"
21:24 <srhb> infinisil: I didn't even know that. 21:24 <__monty__> You should refer to it as "The NixPkgs repro" for ameliorated confusorium. 21:24 <srhb> Yeah, I'll forgive that one. 21:24 <srhb> The rest can go die in a bucket. 21:25 <__monty__> Why is macro such an odd duck? 21:25 <srhb> samueldr: Thanks, I will accept this as the correct answer. 21:26 <__monty__> I've considered getting a t8m domain name. 21:27 <srhb> Learn something new every day. 21:27 <joepie91> exactly what arguments they take and what they return etc. 21:28 <__monty__> I actually thought k8s was à la k9 rather than i18n. 21:28 <gchristensen> watch out for buffer overflows, you might overwrite the next word. 21:28 <srhb> __monty__: Yes, I hear it pronounced as kates all the time. 21:29 <__monty__> I pronounce it cube-err-netties though. 21:35 <__monty__> I think the closest correct pronunciation is que-berr-n... I'm giving up. Too hard to spell phonetically in english. 21:46 <__monty__> joepie91: Yeah but that's not very close. Upsilon is basically impossible to render in english afaict. And so is eta. 23:24 <infinisil> colemickens: Damn, interesting! 23:27 <colemickens> Yeah, I think there's quite a few things that could benefit from this. 23:27 <colemickens> There's lot of places where runInVM is used just for FS manipulation that could be done outside. 23:44 <__monty__> Is it compatible with macos fuse? 23:44 <__monty__> I assume that's the reason for runInVM rather than runInContainer? 23:45 <__monty__> samueldr: Yeah, it's a cluster duck. GHC has had lots of trouble with OSX and now windows build hosts.